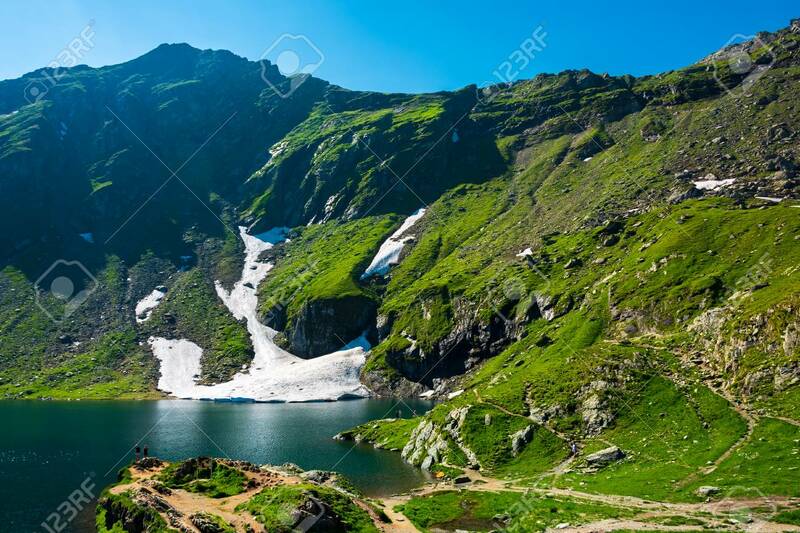 Lake Balea Of Fagaras Mountains. Last Pieces Of Snow On The Grassy.. Stock Photo, Picture And Royalty Free Image. Image 113582505.